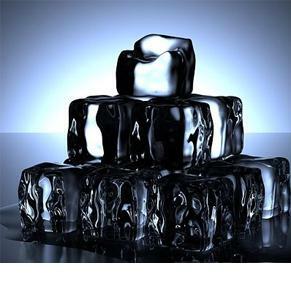 Fat freezing (cryolipolysis) is the use of coldness targeted into fat cells to cause them to be destroyed. The body then reabsorbs the fatty tissue, and the fat ‘disappears’ over a period of about three weeks. Other tissue is not damaged. There are several models of fat-freezing device, with one of the latest and best being the Clatuu. Clatuu is the only cryolipolysis device in the world that offers a 360-degree cooling plate on the handpieces (there are two), but it has many other benefits, including the need for fewer treatments for optimal results. Fat freezing doesn’t damage other tissue since fat freezes at a different temperature to other tissues. Think of it like putting a vacuum cleaner end onto your thigh, but bigger, then imagine that the flesh and fat that is sucked into the device is then cooled. This is where the fat is deeply cooled in a very controlled fashion, causing the fat cells to die, then your body reabsorbs the dead fat cells and their contents, fatty acids. Viola, fat gone. Some side-effects can be local bruising or swelling, and possible numbness, but these side-effects are uncommon and disappear. No serious long-term effects have been documented at six months after fat freezing. Fat freezing is considered to be a very safe, effective fat-removal procedure. We have the Clatuu fat freezing device!